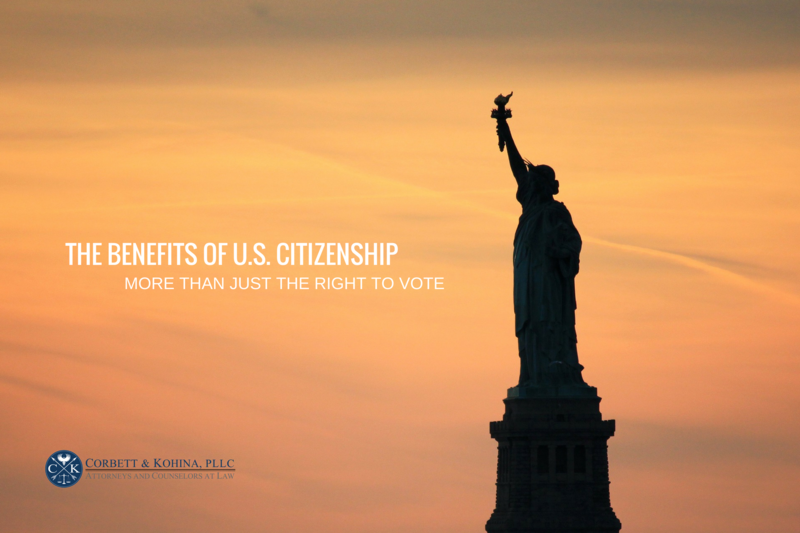 Generally, U.S. citizens can bestow greater benefits on their alien relatives, and often the first course of action is to obtain naturalization for the alien’s U.S. permeant resident relative. 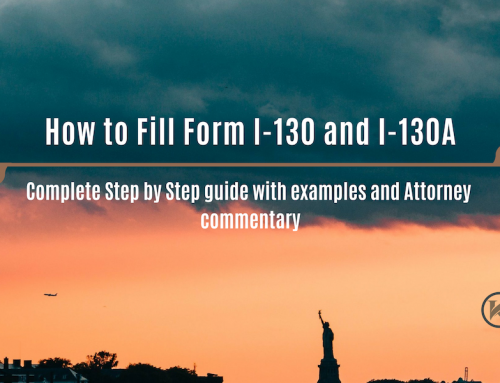 If a permeant resident previously filed an I-130 petition for spouse and/or minor children they can upgrade the petition when they become a U.S. citizen. 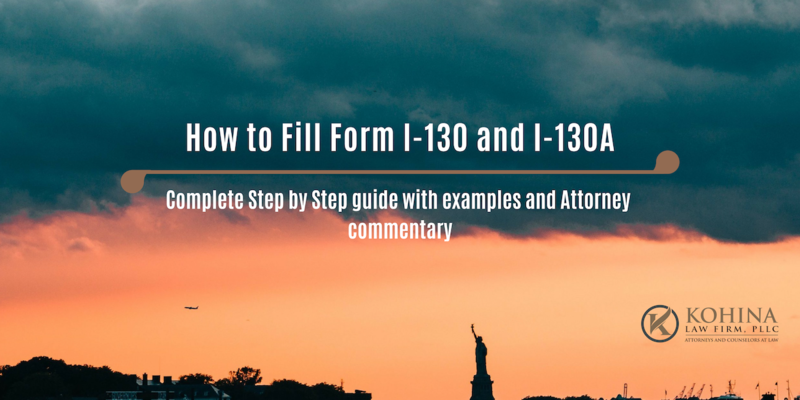 The spouse and/or children of a lawful permanent resident that has filed Form I-130, Petition for Alien Relative, will generally obtain a priority date with a wait of several years. The wait from some countries can be extremely long. 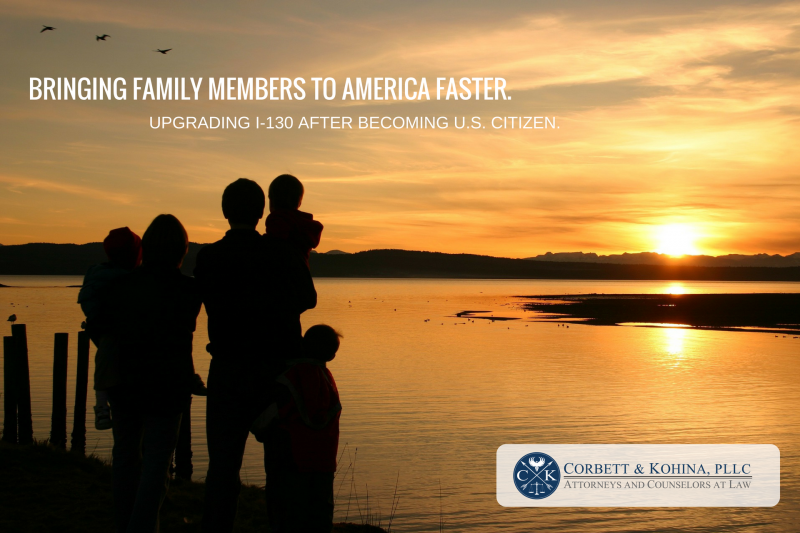 When upgrading an I-130 petition after naturalization, the petition gets expedited because there is no numerical limit on immediate family members of U.S. citizens. Technically, if the conversion of the petition is to immediate relative status, no visa backlogs apply, and a priority date becomes irrelevant. When a permanent resident petitions a spouse and/or minor children, the wait to get an immigrant visa (green card) may take a few years. As a U.S. citizen, your husband or wife, parent, and any unmarried children under age 21 will have green cards immediately available to them. The spouse and unmarried children under age 21 (including step children) of a U.S. citizen are eligible immediately get permanent residence. Their visa category will be upgraded from family second preference (F2) to immediate relative (IR). So even if you already filed a petition for your relative(s), your status as a U.S. citizen will expedite the green card process for them. 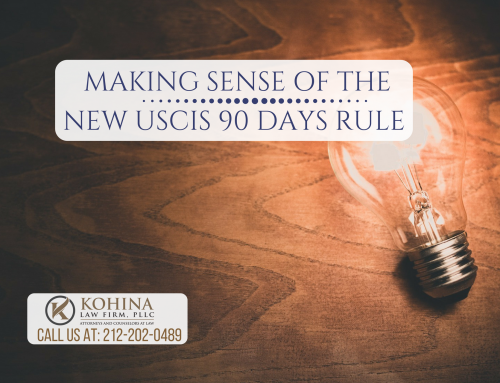 When you naturalize, and become a U.S. citizen and have a pending Form I-130 for a relative, USCIS does not automatically upgrade the petition priority. 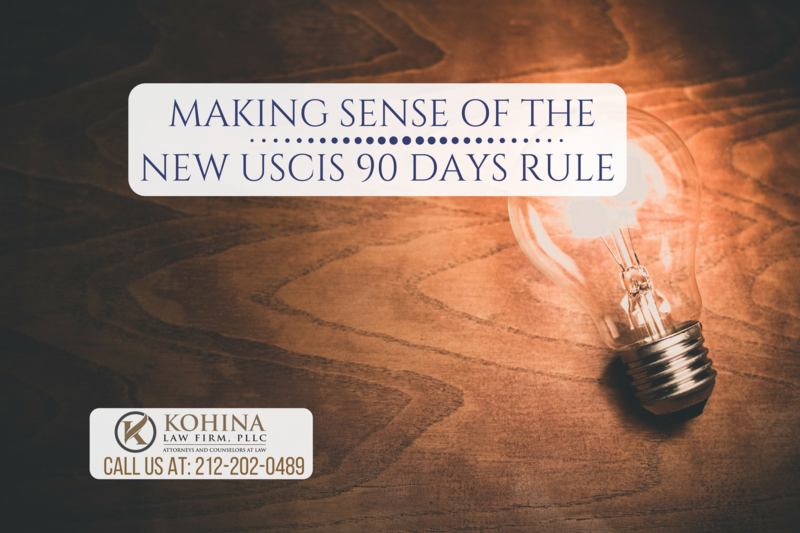 You need to actively notify USCIS of the change in your immigration status. 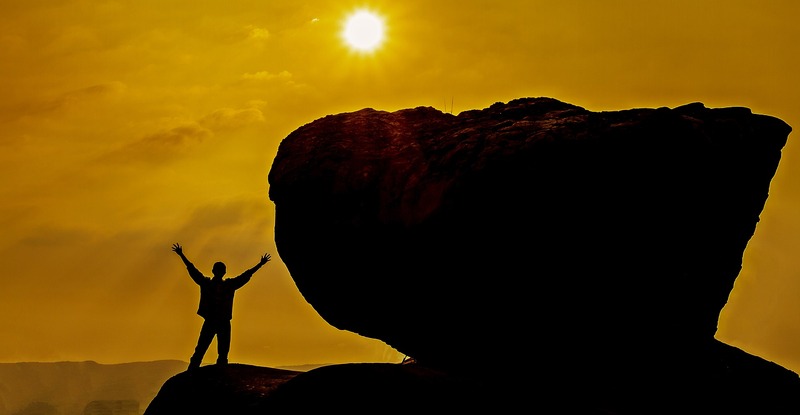 It’s not necessary to file a new petition or pay another fee. You can simply write a letter to the appropriate immigration agency. However, if the alien has been a derivative beneficiary of a 2A preference spousal petition by a permanent resident and the permanent resident naturalizes, the now–citizen petitioner should file a separate petition for the alien spouse’s children, because they cannot be derivative beneficiaries of an immediate relative petition. Which means if you upgrade an I-130 petition for your spouse, and you did not file separate petitions for your minor children when you were a permanent resident, you must do so now. That’s because a child is not included in an immediate relative (IR) petition. 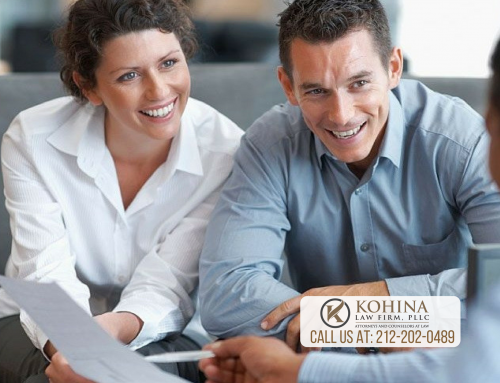 After upgrading an I-130 petition, your case will move much faster. 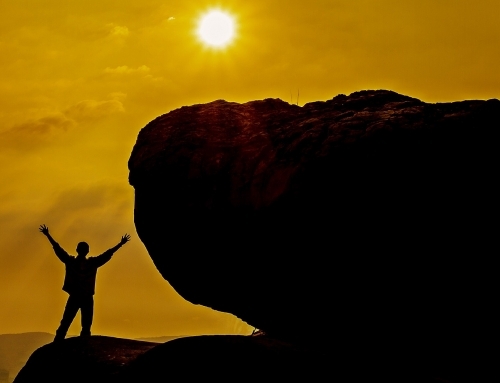 As mentioned previously, there is an unlimited number of visas available for the immediate relatives of U.S. citizens. If your spouse and/or children are currently outside the United States, the National Visa Center will inform the U.S. Embassy offices within your family’s country. 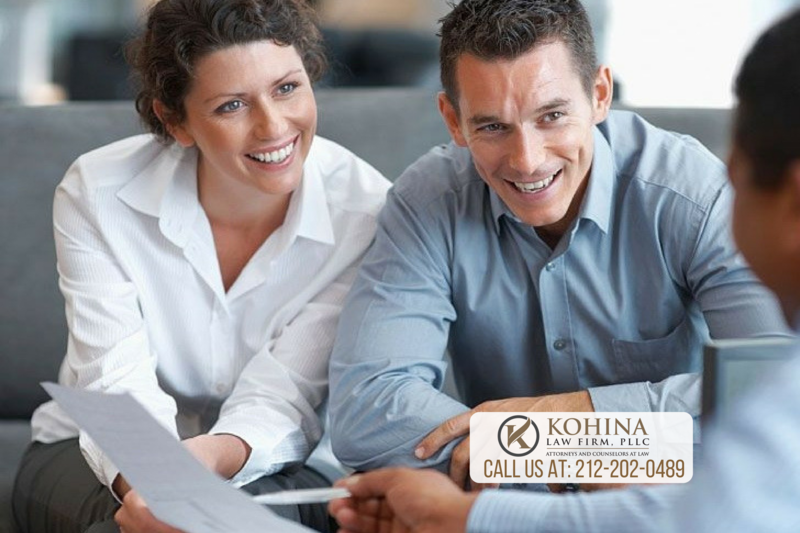 Your family will then be notified to attend an interview for their immigrant visas. If your family is already in the United States (and eligible to apply for a green card through adjustment of status), they can file individual Form I-485 applications immediately. 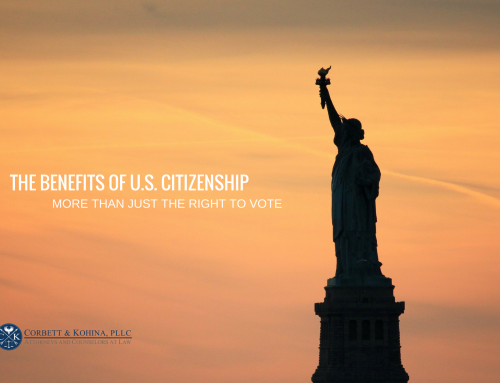 In this case, the petition is upgraded by filing Form I-485, Application to Adjust Status, with a cover letter, a copy of your naturalization certificate and proof of filing or approval of the I-130 petition.